IPVM is proud to announce video surveillance's first and only cybersecurity vulnerability scanner. This tool allows quickly and simply identifying known video surveillance vulnerabilities. 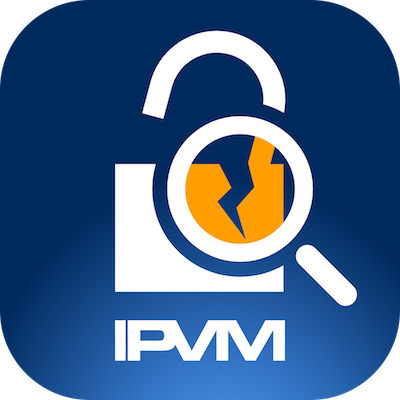 It is available as a Windows and MAC download, free for all to scan a single IP address at a time or to scan entire networks at once for IPVM members. (1) You may have bought OEMed equipment (e.g., Honeywell, Interlogix, Tri-Ed, ADI, ADT, etc.) and not even realize you have vulnerable Dahua or Hikvision equipment. (2) You may not have gotten word from your manufacturer on vulnerabilities as most manufacturers strive to minimize publicity of these issues. (3) And, even if you are aware of vulnerabilities, you may not have found all the devices that are vulnerable in your system. The Scanner addresses this by looking for the known signatures of these vulnerabilities, automatically examining your networks and reporting back on your cameras or recorders that show vulnerabilities. The Scanner has privacy built-in, it never uploads, records nor shares any vulnerability information. It displays this only on your own computer. The only outbound requests the Scanner makes is to get updated versions and for member sign-in to enable scanning entire networks. MAC OUI addresses are used as part of identifying vulnerable devices. If we are missing a MAC OUI, we could potentially miss a vulnerability. If the scan is being done remotely, where MAC OUIs are not available, we cannot as definitively verify the vulnerability (displayed as 'possible') in such cases. Vivotek has a known vulnerability but we are not currently scanning for it since the check involves crashing the web server. Since, we do not want to endanger any potential product systems, we are currently omitting it but searching for an alternative technique. We have limited the number of IP addresses that can be simultaneously scanned to a Class B address range to minimize probing the public Internet for insecure devices. That, combined with the limitation on MAC OUI checking, will limit misuse. While any error is entirely IPVM's, we would like to thank Bashis, (1) for finding so many of these manufacturer vulnerabilities (e.g., 1, 2, 3, 4) and (2) for volunteering feedback on the Scanner's implementation to improve its functionality. Exporting results: In 1.0, we show a list of results with IP addresses and vulnerability information. In the future, we will add a way to download that list to a csv or text file. Local history: Members have asked for a way to store a local history of previous searches (e.g. different IP addresses or ports, etc.). Default / weak passwords: Another cybersecurity concern are devices using default passwords (see our list) or weak passwords (e.g., 1234, abcd, password, etc.). We are considering a future addition that scans for such issues. OEM detection: Members have asked about notifying them if they have products that are OEMed from Dahua, Hikvision, etc. This could help them identify potential vulnerabilities and products that are prohibited. Comments (72) : PRO Members only. Login. or Join.